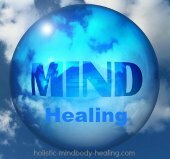 Welcome to Holistic Mindbody Healing. You will find commonsense leading-edge information and techniques for holistic healing, energy healing, healthy living, stress-relief, herbs, essential oils living your purpose, and more on this site. Holistic healing is a big topic. The links on this page will help you navigate the site and find what you are looking for. Be sure to get your free resources, too. 1. Do this first. Get your wellness quiz and mindset mistakes e-book. 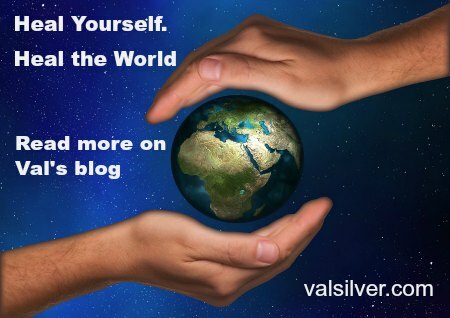 When you sign up for Val's monthly (more or less) newsletter containing exclusive info, wellness tips and promotions, you gain access to several free gifts as a "thank you". These include the Holistic Wellness quiz and the 5 Mindset Mistakes That Hurt Your Health ebook, along with other exclusive resources and benefits. See your exclusive gifts and more information about your subscription here. You may unsubscribe any time. Sign up now and get your gifts today. How is your diet? Are you happy? 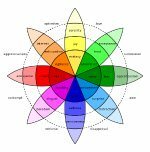 Take this quick assessment to rate areas of mind body wellness, identify your most need extra support, and simple strategies to improve your health in those areas (links included). 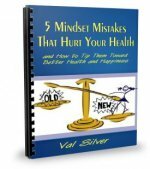 Five Mindset Mistakes That Hurt Your Health and How to Tip Them Toward Health and Happiness exposes common myths and habits that may compromise your well-being and suggests holistic healing and mindset shifts to replace them. Can Your Mind Heal Your Body? In addition, you may find the following information helpful to start. How to Get Healthy - What to do if you are suffering from a chronic illness and want to get better. Do you have cancer? Read the above page and natural holistic healing help for cancer. How to Stay Healthy - Prevention is worth a pound of cure as the old saying goes. These tips will help you stay healthy and improve your health. How to Detox Your Life - This page is fast approaching the most popular list. Learn how to cleanse mind, body and home for a healthier, happier you. Physical Wellness Guide - Your starting place for information about pain relief, weight loss, natural energy boosters and more. The Healthy Living Diet - how to eat to get healthy and stay healthy (and maybe even lose excess weight). Community Pages - Do you have something to share with our readers? A favorite book or insights about natural holistic healing or a related topic. This is the place. Free downloadable resources- get free e-books, the holistic healing e-course and more to help you heal yourself and the world. 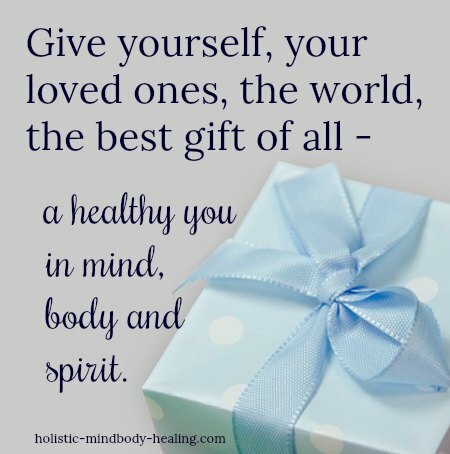 Holistic mindbody healing treats you as the whole person you are. It recognizes you as an integrated being with a physical body and an energetic body. It recognizes you as part of the interconnected whole of the universe. It recognizes you as an individual with personal needs, wants, desires, hopes, dreams and gifts to give the world. It recognizes that somewhere along the way a part or parts of you got out of balance, lost their way. Mindbody healing helps you regain that balance and your health. When you nurture or hurt one part of yourself, you affect the whole. When you purposely nurture all of you-mind, body and spirit-you connect with and heal the whole of you. 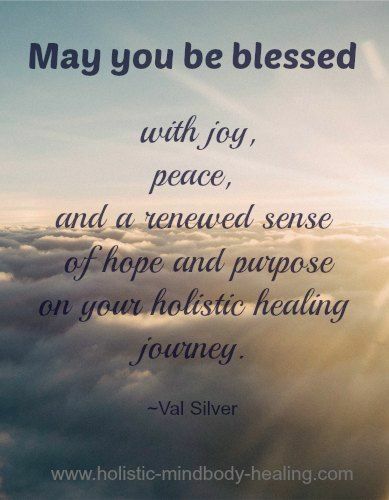 As you heal yourself, you become healthier and happier, more fulfilled and at peace. You affect others and the world in a more positive way. You can't help but make the world a better place. And this too comes back to you. Holistic healing helps when life knocks you off balance. Just a single word has the power to change your life. You know those words: cancer, diabetes, heart disease, multiple sclerosis, lupus. Words like those strike fear in your heart. They threaten your quality of life and possibly life itself. Sometimes the treatments are even scarier than the disease. If you have ever sat in a doctor's office and listened to your treatment options, or lack of them, you know what I mean. Those aren't the only words that turn your life upside down. You know those words too - death, divorce, downsizing, loss, trauma. Maybe your specific words rise up and call from within. Emotions and feelings long pushed down shout in your head, demanding to be heard. You tell yourself something has to give, to change. You can't go on like this. Although each of these words appear very different, they are in ways much the same. They make it clear, often in an instant, that like it or not, life as you know it will never be the same. And like it or not, to get better, you and your life have to change. With that realization comes feelings of stress and fear and pain from deep inside. As scary, shocking and painful as times of upheaval are, when navigated consciously they have the power to open doors leading to profound mind body healing and transformation. If you have ever heard survivors say that cancer or divorce was the best thing that ever happened to them, this is what they were talking about. When the wake up call comes, it places you at a crossroad that demands choice and action. With the right attitude, it can lead you from your comfort zone to positive change and blessing. Above all, know in your heart that there is always hope. The majority of our ills are caused by lifestyle. That means you have the power to make changes for the better. When your mind and body are given necessary nourishment and harmful substances are avoided you can feel better and get well. Today is a new day and you can make new, empowered choices with the potential to change your life. That is my hope for you. Ultimately, only you get to choose your holistic healing path. You have the choice to continue on as is. You have the choice to choose the road of opportunity and holistic wellness. 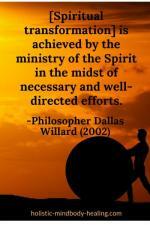 It is not the easy road but it is the way to a healthier, happier, more meaningful life. Natural remedies and a holistic approach, along with appropriate medical care when needed, do more than cover up your symptoms. They bring genuine healing and wellness to you as a whole person. They place you as the head of your wellness team. If natural holistic healing for mind, body and spirit is your choice, you are in the right place. Know that you do have the power to influence your health and your life for the better. Know that you are not alone. Know you do not have to stay stuck or be perfect. All of life, including how well you take care of yourself, is a journey of meandering paths. And when you lose your way, no matter how often, you can always find it again. The beauty of life is that each moment brings new gifts and new beginnings. The first step on your holistic healing path is to take a deep breath. Reorient yourself. Prepare for your mind body healing journey. Take another deep breath. Yes, there will be twists and turns and bumps along the way. It's okay. I'm here to tell you it is so worth it. As you progress on your journey of holistic mind body healing you will hear and tell yourself affirming words, maybe for the first time in a long time. The past cannot change, but words like healing, joy, acceptance, love, peace, compassion, serenity, wellness, and bliss can become your present and future reality. You may be very pleasantly surprised to realize that progress can happen with less struggle, more ease, and greater joy than you ever thought possible.